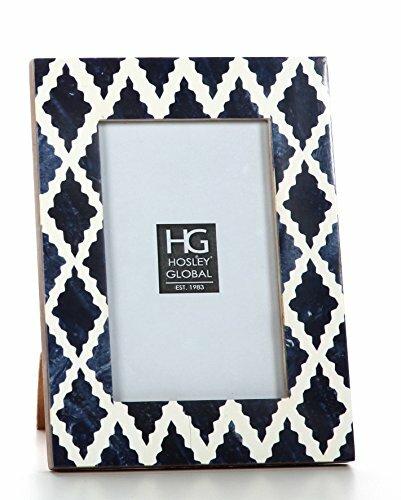 PRODUCT: Hosley's Indigo Geo Resin Tabletop Picture Frame, 4x6. BENEFITS: They feature a contemporary style, giving it a sleek design with crisp edges. This charming wall decor will add a touch of warmth to any décor.